Featuring fluorescent green body and purple eyes. Litho’s are an unusual member of the Fungia Family with similar requirements. Their growth form is a unique encrusting pattern. 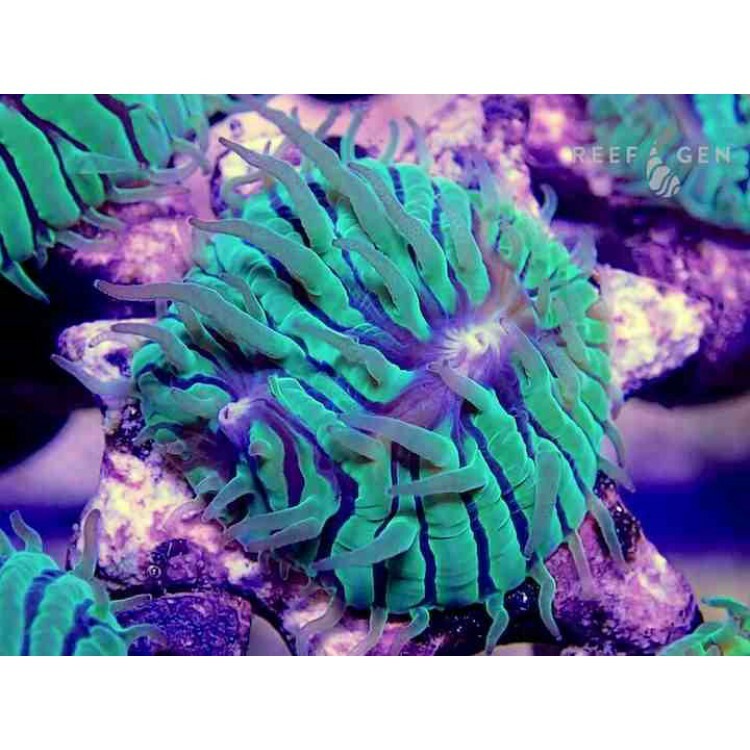 From Joe’s big reef, it’s a real gem in any collection. Fresh Cuts available.